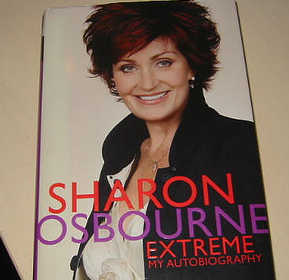 ​Before she was Sharon Osbourne as we know her, the matriarch of her foul-mouthed family, a co-judge on America's Got Talent, or before she took a seat on The View, Sharon Osbourne was just Ozzy Osbourne's much beloved wife, the mother of his children, but also was the source of ridicule and stares. Mostly because of her weight. Working in the shadow of a famous music-producing father was hard on Sharon. Being heavier was a way for her to stand out, but was detrimental to her overall health and self-esteem. In 1999, when she was 47 years old, Sharon made the decision to undergo lap-band surgery, whereby an elastic band is constricted around the stomach to restrict the amount of food someone can ingest comfortably. She successfully lost 100 pounds and, in 2006, told Howard Stern she was getting the band removed as a pinnacle of her success at keeping the weight off. She had suffered most of her life: from the controlling grip of a violent, aggressive father, drinking to excess, and some of the worst years of marriage to the self-proclaimed "prince of darkness" which involved several stints with the law and knock down, drag out fights. Through it all, though, Sharon prided herself not only on survival instinct, but her ability to grow and adapt. She understood it was no longer necessary for her to stand out physically, she had done that enough. She had survived decades married to rock and roll. She had survived her father. She didn't need to be bigger outside to make a presence for herself anymore. Today, Sharon has maintained the weight loss and regularly speaks openly about her surgical experience.